Amazon and Warner Bros. today announced an exclusive deal that will see cancelled Warner Bros. shows like Fringe and The West Wing make the jump to Amazon Prime Instant Video before competitors like Netflix get them. Other cancelled shows to soon appear on Amazon Prime Instant include Dark Blue, Alcatraz, and The Whole Truth. But Fringe and The West Wing will be available on Amazon Prime exclusively "for the summer," after which time the shows will presumably make the jump to Netflix and other competitors. TechRadar has reached out to Netflix to find out whether these shows will be coming to the service, but they've yet to respond. Will exclusives help topple Netflix? Amazon's partnership with Warner Bros. is a clear bid to further erode Netflix's place at the top of the streaming video market. But Wedbush Morgan analyst Michael Pachter finds it unlikely that Netflix will be toppled any time soon, he told TechRadar via email. "Toppled is a bit of an overstatement," Pachter wrote. "The exclusives signal that Amazon intends to compete, and ultimately suggests that Netflix's subscriber growth will slow," he added. TechRadar reported earlier this year that Netflix isn't getting any new content any time soon. Nevertheless, Netflix reported earlier this year that the company's UK and Ireland launch went off successfully, and the much-hyped return of Arrested Development will take place on the service next year. Netflix has debuted other original content as well. On the other hand, Amazon's successful media-centric Kindle Fire tablet has helped boost its Amazon Prime Instant Video service, not to mention a successful launch on Microsoft's Xbox 360. 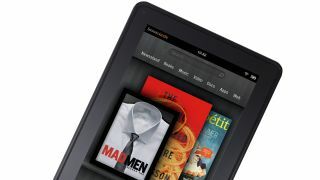 And Amazon has continued to add content to the Prime Instant Video service since launching in February last year. The service may not be set to take the streaming video throne just yet, but it's surely carving out its own niche.